In addition to being a beloved author of over 20 fiction, nonfiction and YA books (and one of my all time favorites) Isabel Allende will be receiving the Presidential Medal of Freedom from President Obama on November 24th. It’s a huge civilian honor, and one that Allende richly deserves. Allende constantly connects with history through her writing: as the niece of assassinated Chilean President Salvador Allende, there was drama aplenty, and she lived in exile as she was writing her first books. 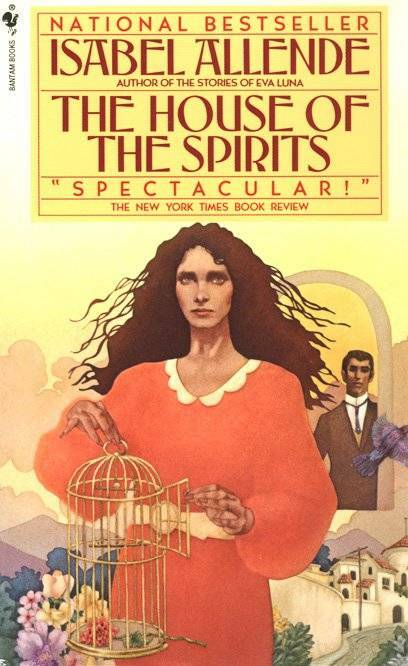 Nicely coinciding with the U.S. Thanksgiving holiday, I am immensely grateful to Allende for providing me with one of my first challenging high school reads, The House of The Spirits, which, at the time, was labeled as an ‘other/outside cannon’ novel in an effort to get us kids to explore cultures other than our own. That might’ve been the turning point for me, as I’ve been genre-fetished on books abundantly populated with love, a big dose of family drama, life in another country, and a touch of magic ever since. Cheers to you, Isabel Allende, and thank you for all the words. The House of the Spirits. Start here. For real. Don’t try anything else, just jump right in with the book that kickstarted Allende’s career, and was written “to keep alive the memory” of Allende’s family in Chile, and the recent history of the country itself. In this House, you’ll meet generations of the sprawling Trueba family, and witness their rise as patriarch Esteban works his way up from lowly miner to patrón of Tres Marias, the family working farm in the countryside, to polarizing political hero who finally meets his downfall amidst the country’s upheaval, brought about by the inherent corruption and favoritism – in which Trueba plays a big part. (Think Enron execs totally “unaware” of the damage their business practices cause to most of the non-rich classes.) But that’s just for starters. Chile’s politics are the historical backdrop to the love stories going on between Esteban and the women he falls in love with, and marries (sort of): the mermaid-hued Rosa and her sister, the ethereal Clara. Their children grow up surrounded in luxury – and then lose it all, but fight the good fight, opposite their grandfather, the whole time. There are uncles who bring fortune, adventures, and beloved pets to the family. Love in the countryside, ghosts in the magical Esteban city estate, fortune tellers and medium’s aplenty, and most of all a family that you fall in love with, who you stick with, and root for, till the bitter end. It’s an historical novel wrapped in a magical realism skin, and it is so beautiful, so perfect, so Allende at her best. Paula. Spoiler alert: Paula will break your heart and leave you in tears. That is just a fact. This memoir is Allende coming to terms with unspeakable events in her own life, as her daughter – out of the blue – falls ill and into a coma, and Allende spends almost every waking minute caring for her. 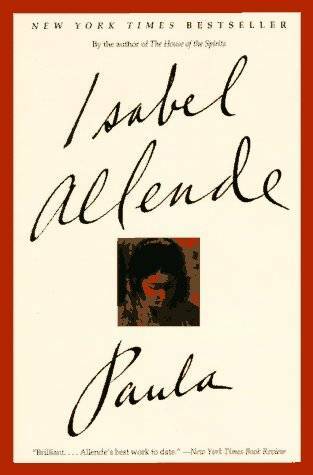 As she’s a writer and a mom, caring for Paula includes nourishing her mental state, and so Allende tells her daugher, and readers, the story of their family’s lives. Most of the book is bedside flashback, with Allende whispering family secrets, memories and sagas to her unconscious daughter, so that when she awakes, she’ll be surrounded by love and family and memories. Allende’s refrain, and overall inspiration for Paula, the novel, is all you need to understand the woman: “If I write something, I fear it will happen, and if I love too much, I fear I will lose that person; nevertheless, I cannot stop writing or loving….” Cue tears. Maya’s Notebook. This the almost-YA novel that I would recommend you read before trying Allende’s actual YA books. Maya’s Notebook is the haunting, tough-love story of a child neglected by her parents and who grows up with her grandparents in the magical city of Berkeley, CA, where eccentric is the rule and anything goes. (Allende, after exile in several different countries, settles in Northern California, a journey which you can also read about through Paula.) But when her beloved grandfather dies of cancer, Maya unravels. She goes through all the angsty teenage stuff: drugs, alcohol, crime, and a stint in Sin City that is so bad, she has to flee the country to ensure her own survival. And that means back to Chile, to a remote, sparsely populated island of her grandmother’s people, where she can heal, and learn to love herself again. The parts in Chile are my favorites, just slow and filled with native customs, food, and longstanding familial interactions. 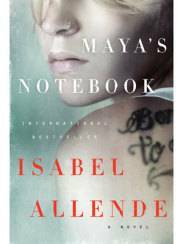 I think of this as Allende’s almost-YA novel because Maya is a teenager as she goes through these traumas, and it reads more from her POV than that of the ‘been there, done that’ adult voice. Yes, there are lessons learned, but the hard way, and Maya’s story is one that will resonate with readers, regardless of age. Avoid at all costs! City of the Beasts. Allende’s first foray into young adult novels just left me disappointed and bored to tears. It had all the elements of a great story: a kid gets to join his grandmother on a trip to the Amazon, to track down a maybe mythical Yeti-Beast, he gets a girlfriend, they both have spirit-animals, there is a City in the Mist…but the pace is just too slow, the book is too long, and the resolution not satisfying. I didn’t move on to books 2 and 3 in the series – maybe they’re better. Read at your own peril: Ripper. I haven’t yet tried this one, Allende’s first real mystery. Because – have you seen the furor her words about it caused? Allende, whose husband is a crime novelist, described her own book as ‘tongue-in-cheek’ and a ‘joke,’ uncensored thoughts based on trying to write outside of her normal genre. The book actually got good reviews, and was again inspired by real life: this time, by her granddaughter playing an online multi-person mystery game based on Jack the Ripper’s London crime spree. If you’ve read it, please tell me what you thought. My lifetime goal is to read all of Allende’s books, and then again, after learning Spanish well enough to read them without translation. I’ll let you know how that turns out.